Texas Fish & Game Hunting Editor and longtime outdoors writer for the Fort Worth Star-Telegram Bob Hood died at his home at Possum Kingdom Lake. Hood fought a battle with cancer for two years. He was 69. According to the Star-Telegram, he was born June 28, 1944, in Fort Worth, to James O. and Ina Louise Hood. He was a fixture at the Star-Telegram well before he joined the staff full time on Sept. 21, 1962 as he had been delivering papers since he was 11. He started covering the outdoors in 1968 and wrote for dozens of publications and was widely respected for his knowledge of the outdoors as well as his realistic view of what actually happened in the field. 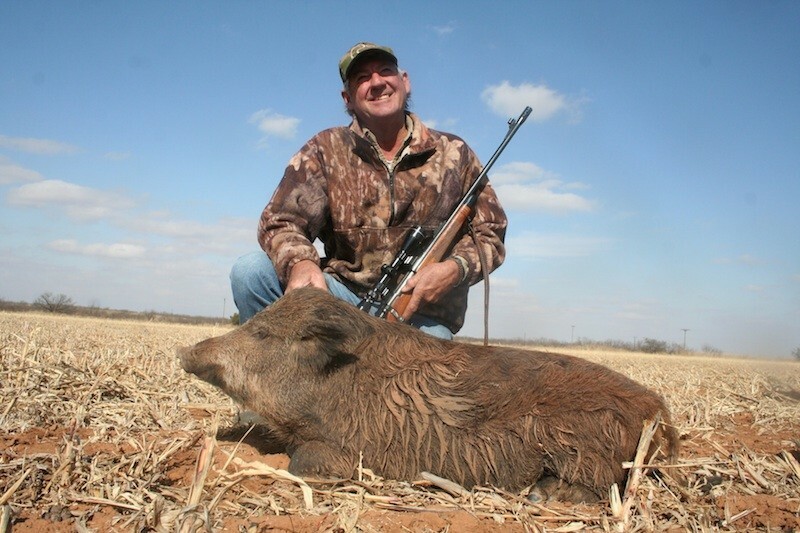 “I first met Bob about 10 years ago and had the pleasure of going on a number of dove and hog hunts with him. He was the real deal and the reason his stories were so believable is because he was a legitimate well-rounded outdoorsman,” said TF&G Editor-In-Chief Chester Moore. Outdoors writer Luke Clayton had the privilege of being one of Hood’s best friends and said he was the type of outdoorsman that made your hunting or fishing trip better. “If there were a couple of deer stands to hunt and the trail camera on one had evidenced a big buck or better wild hog activity, you would have a tough time convincing him that he was to hunt there on the afternoon hunt,” he said. In a special tribute penned by Clayton for fishgame.com, he noted the following about Hood’s turkey hunting prowess. “Bob, just how many turkeys have you killed with that old shotgun?” I quizzed. In his thoughtful manner, Bob looked at the old shotgun and then at me. Bob Hood was a loving husband, father, grandfather and truly great Texan.